Face masks are a great way to relax and also give your skin that bit of TLC it deserves, every blogger and his dog probably own a stash of face masks and I am no different, I have every variety you can think of from clay masks to sheet masks and everything in between but there are 3 stand out face masks that I find myself reaching for over and over again. The first one is my absolute favourite and has been for a while! Its the Soap and Glory No clogs allowed self heating deep pore detox mask, it retails for £11.50 but trust me its well worth the price! Not only does a small little tube last me ages but the way my skin feels afterwards is amazing! The packaging is nothing really special but I quite like the simplicity of it and its perfect for use on the go which is really important for me since I do travel a lot! Again another Soap and Glory product but honestly I have not found a face mask brand that works as well as these! So not only do I use this face mask but this is Harry's favourite aswell... I've got him well trained in the pamper night routine and him normally asks now when we are doing one! So this face mask costs £10 and comes in a little pot rather than a tube. I tend not to take this one with me as much when I'm travelling purely because a tube is easier and fits into a case better. The smell of this mask I must admit isn't my favourite but after a few uses I hardly even notice that now. I mainly apply this to my T - Zone along with any other places I have a few extra spots. The texture is really thick and creamy and trust me with this product a little goes a long way! I find that this face mask not only clears my pores and gets out all the nasty things in my pores but it also does a brilliant job at exfoliating my skin! With this mask you have the option to leave it on for 5 minutes for a quick cleanse or 15 for a deep cleanse and then remove. This is something that is quite simple in theory but I love as it means I can still do a Face mask even if I don't have much time! Now I must admit I was never a huge lover of a sheet mask... I hate the sensation and first and to be completely honest it used to make me feel a little bit sick (Not sure why it just did!) But my friend recommended I tried the simple range. 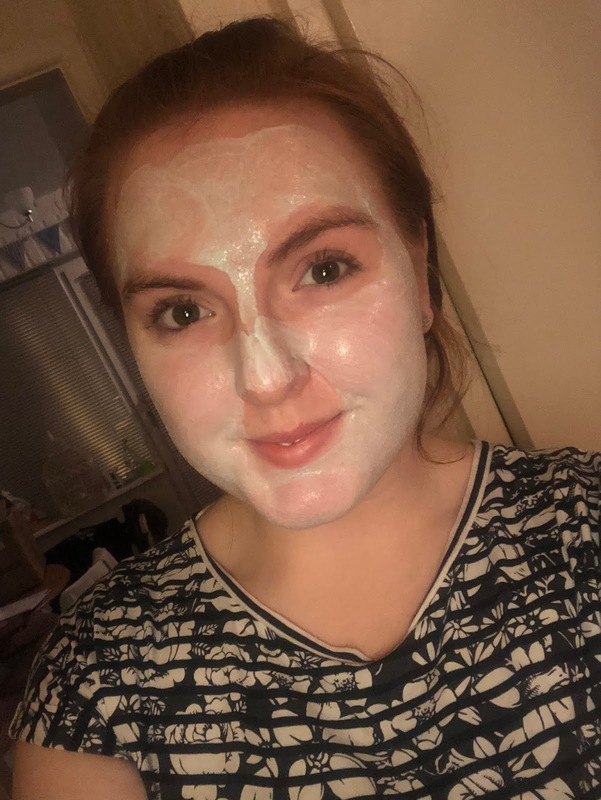 At first I was a bit put off by the fact it was a sheet mask but in the end I gave it a go and I am so so glad I did! I absolutely love this mask, this is more of a mask for when you need a pick me up and a bit of moisture back in your skin. 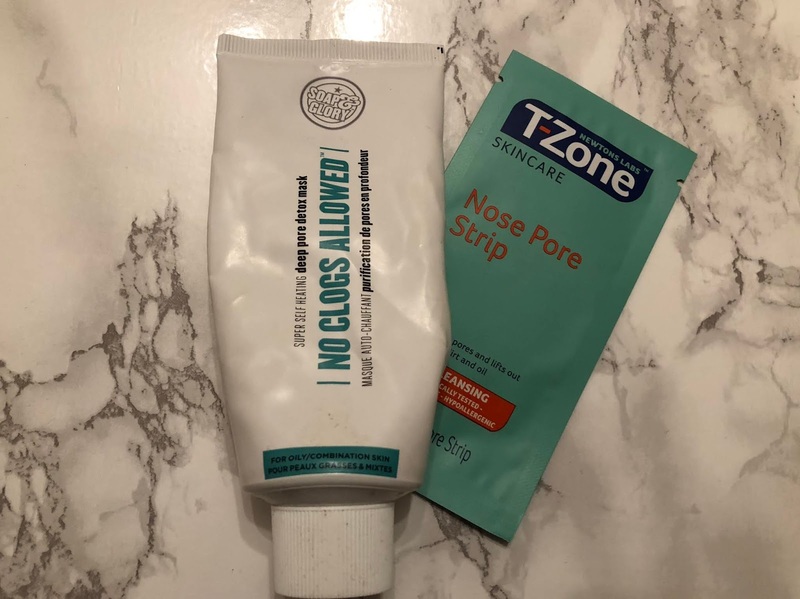 I find that these are the perfect thing to pop into my carry on bags for planes, since I do a lot of travelling on planes this really helps to keep my skin looking and feeling hydrated whilst also adding a natural glow! This mask costs £2.99 which is incredible and many a time can be found on a 3 for 2 offer, the only downside to sheet masks is that you can only use them once but this is the one I always use if I want to give my skin a bit of a boost! So those are a few of my favourite face masks, I would love to hear in the comments what yours are!